For many people, the major advantage of an MMI style interview over a traditional panel interview is that each station is independently marked. As you essentially start each station with a “clean slate”, this avoids poor performance in one question ruining your overall score. In reality, if you think you have performed badly in one station, this can affect your performance in the following one. 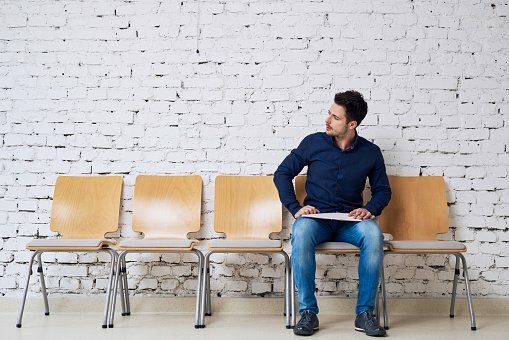 Here are some tips to help clear your mind during the waiting period, so that you can truly start each station with a fresh mind and succeed in your interviews! Reflection is a good thing, but save this until you have completed the entire thing. As mentioned before, worrying about how you could have done better while waiting for the other stations will distract you from completing the next tasks and negatively influence your overal performance. Focus your mind on getting through the next stations and just try your best. In many cases, MMI interviews are conducted in one large room with temporary partitions between stations to mimic a busy, noisy hospital ward. If so, it’s important not to be distracted by what people are saying around you, as you need to demonstrate that you are able to cope with working within a fast-paced environment. While you are waiting for your next MMI station, you may hear the candidate before you answering questions. It can be tempting to try to listen in on the other candidates’ answers, especially if you have not been given any prompts/instructions beforehand. However, don’t try to work out what the station might be asking for, as doing this will only make you more nervous and could even confuse you. MMI style interviews can feel quite intense and stressful, especially since everything is kept within very strict time limits. After coming out of each station, just closing your eyes and taking a deep breath will help you relax and reset your mind for the next station. This is in the event that prompts are provided. As you will only be given very limited time between each MMI station, concentrate on thinking about how you might like to begin your answer and how you might like to conclude – the content in the middle will naturally flow. This is particularly useful in a role-play scenario, as most candidates start brilliantly, but forget to end the conversation properly as they panic when the timer goes off. No matter the format and style of the medical school’s MMI, remember to stay confident. While you are waiting between stations, focus on the positive aspects of your last performance and remain confident and optimistic that the upcoming station will go well. Wishing you the best of luck with your interviews! Want more interview tips? Try reading our other blogs!